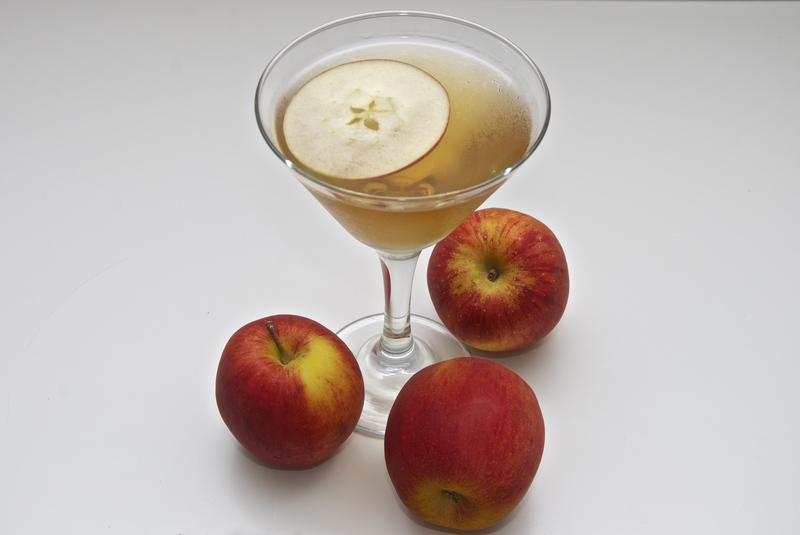 A sweet to balance the acidity in this case simple syrup or triple sec that is syrup with alcohol. In this version I am changing a few things… Don ‘t worry not dramatic changes. 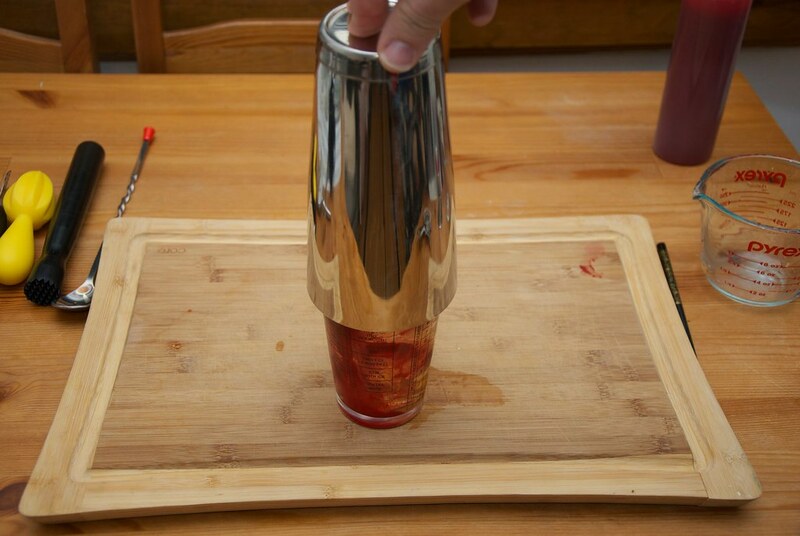 Just some tricks here and there just to make the cocktail more festive. 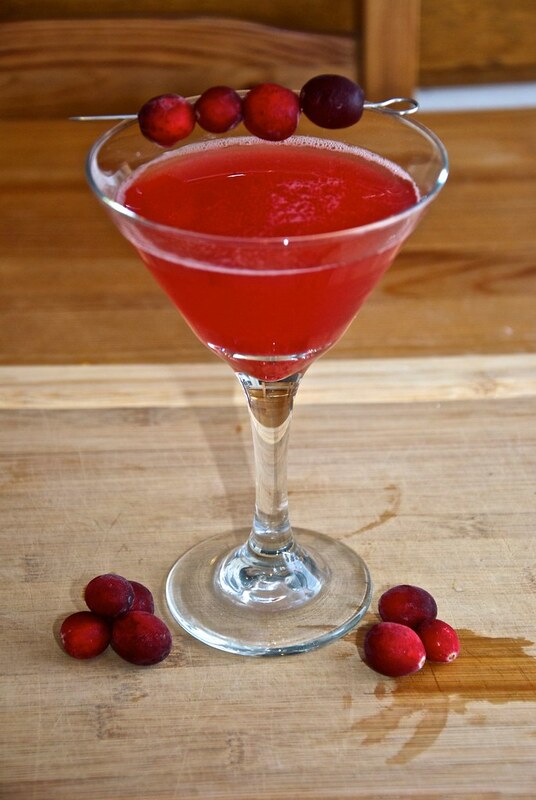 I based it on the cranberry syrup we made before. It is a drink that is build around that. 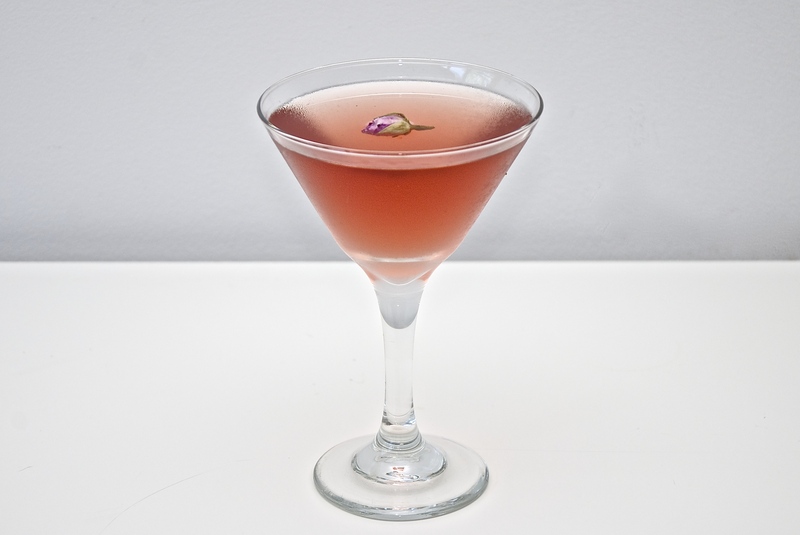 Grand Marnier that is a citrus flavored liqueur and will add some more sweetness and citrus hints. I am not using lime as it will make the drink to acidic to my taste. I find that the syrup is definitely acidic enough on its own. Ice. The most misunderstood ingredient of the cocktail business. 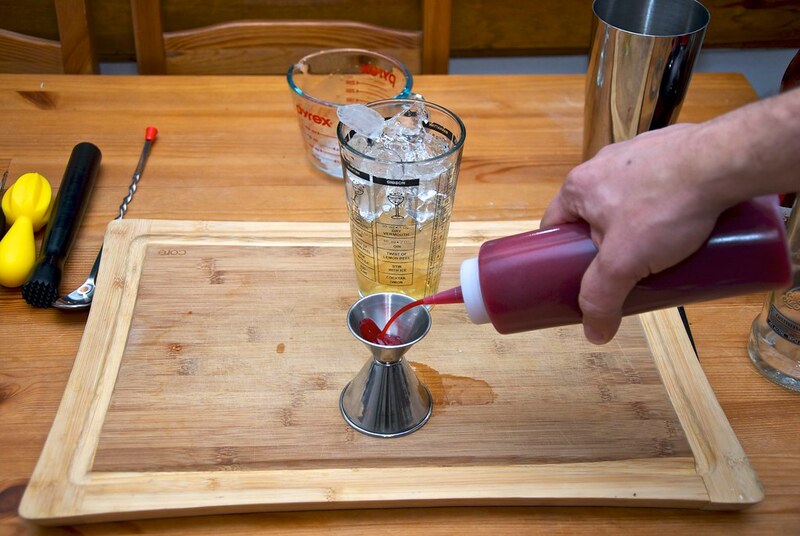 Fill up your shaker with ice. Measure 2 1/2 oz of vodka. 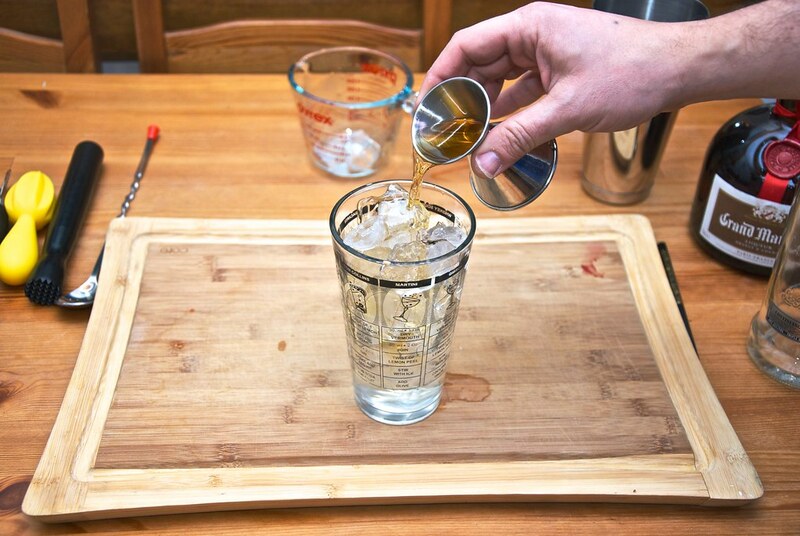 Pour it over the ice. 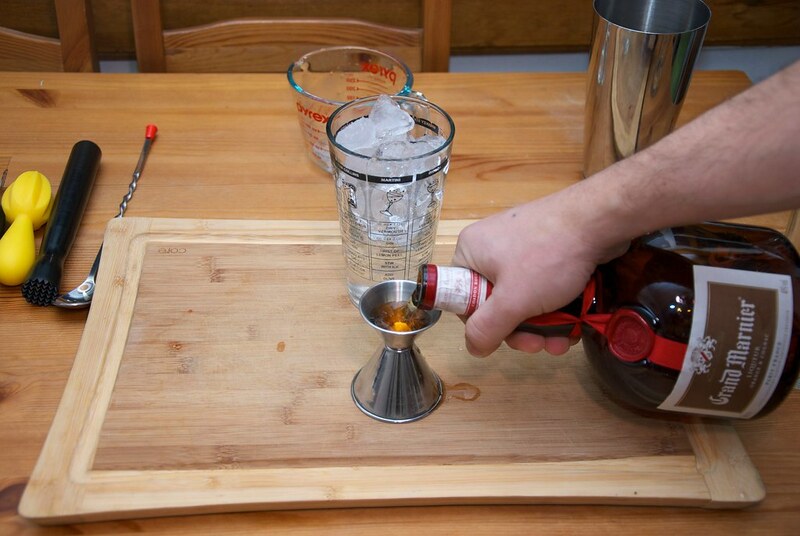 Measure 1 oz of Grant Marnier. And drop it over the ice as wll. Notice: All the spirits are poured over the ice. This is not random. 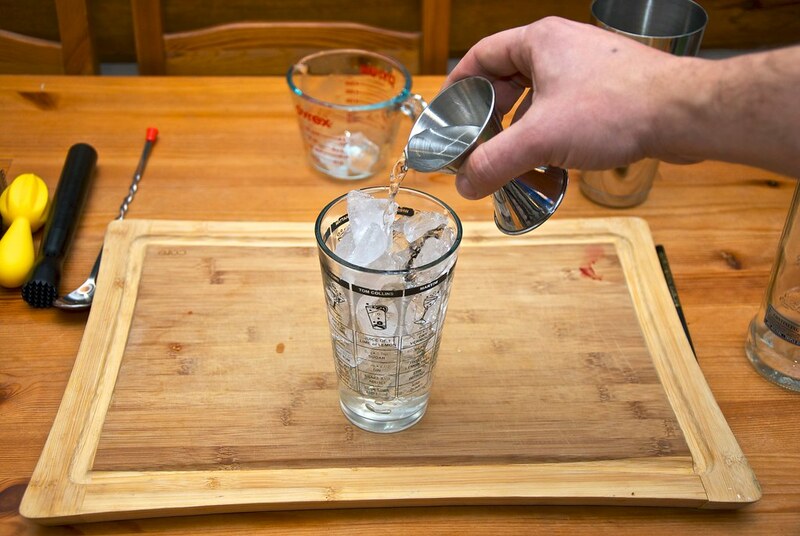 It is a process that actually will melt some of the ice and dilute them. They will be integrated a lot better that way since the cooling is not going to be as rapid. 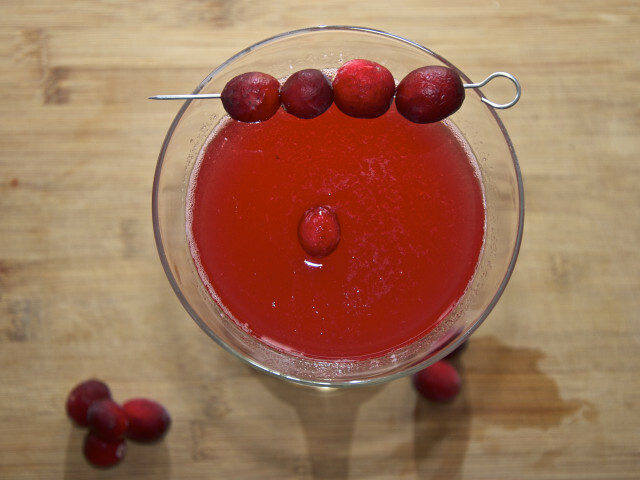 Now measure 1 oz of the cranberry syrup. And following from that over the ice as well. 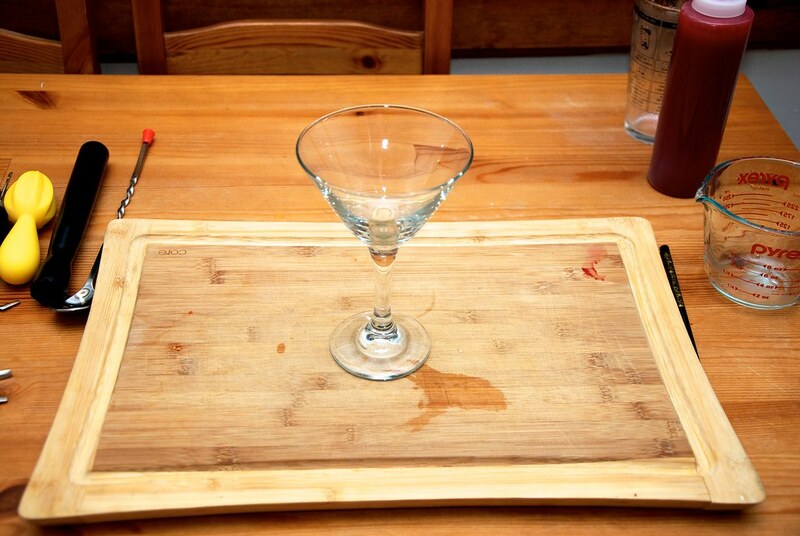 Get a nice cold cocktail glass and set it on your table. 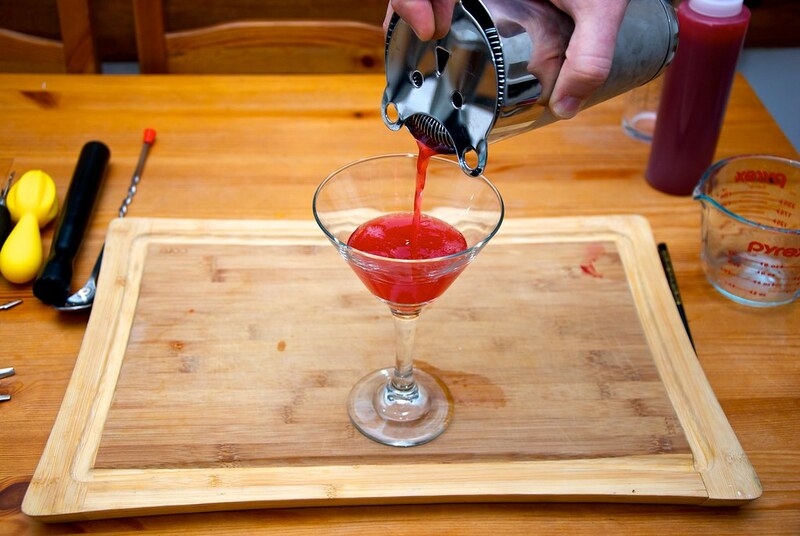 And pour in the goodness. 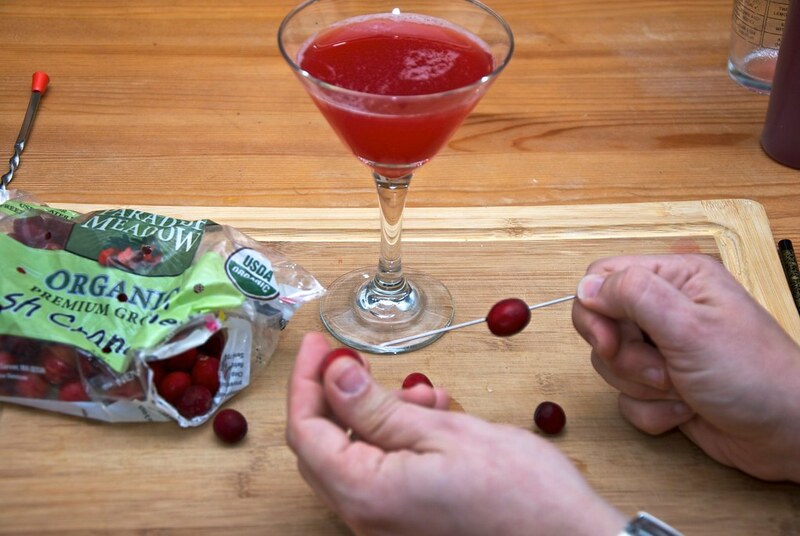 For decoration just take some cranberries and skewer them on the metal cocktail decorative… pins. These are actually pins that are supposed to be used for tying the turkey after stuffing it. The days after thanksgiving you can buy a a packet of them that has 6 for like a buck. Talk about repurposing items. I have severe of them as they are great addition to any bar set. And let this rest on the rim of the glass. Amazing. 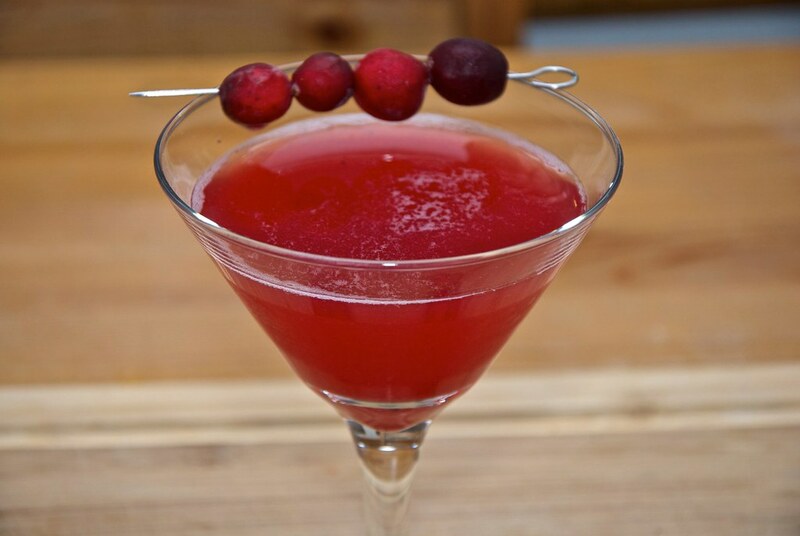 A gorgeous cocktail if I don’t say so myself. 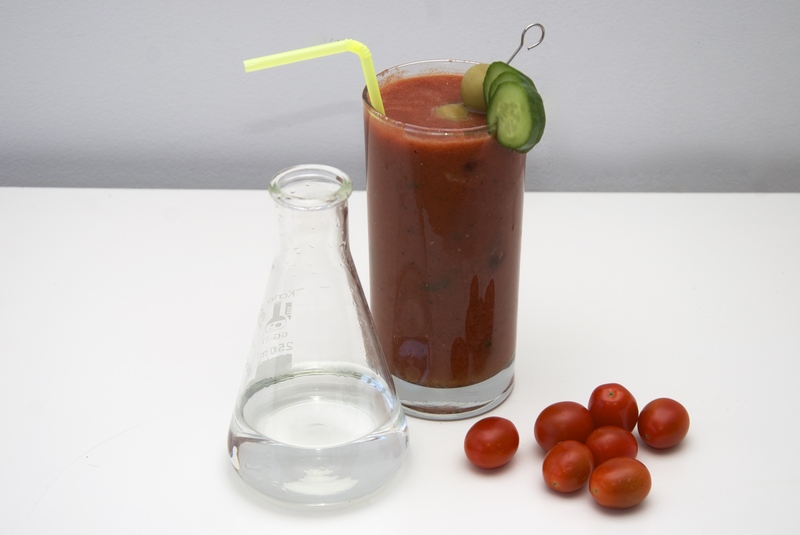 If you are serving many people you can always increase the alcohol levels and serve it on the rocks. I usually make a pitcher of it and just let it on the table. 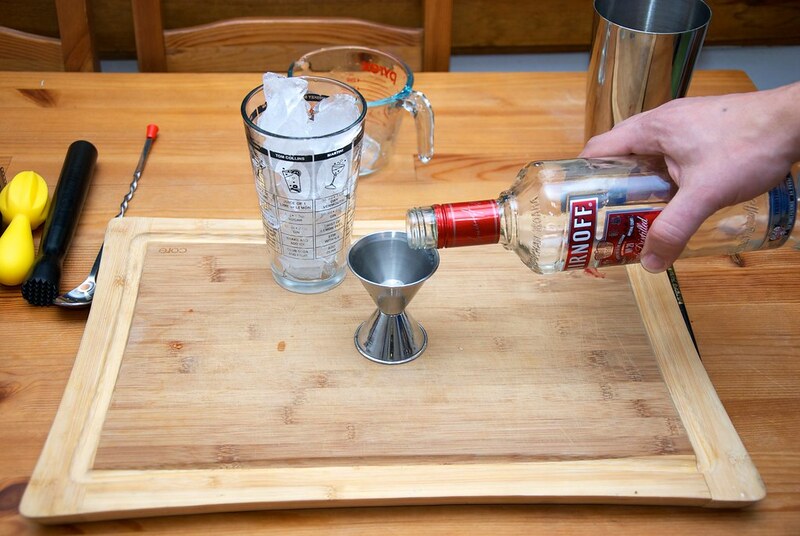 When you serve cocktails on the rocks they get somewhat diluted so it is a good idea to up the cocktail alcohol level before hand. 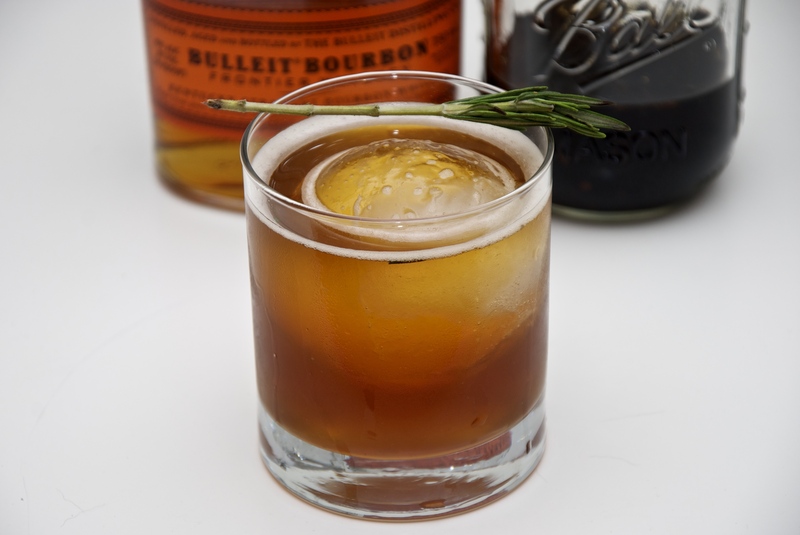 A different take on a classic drink. 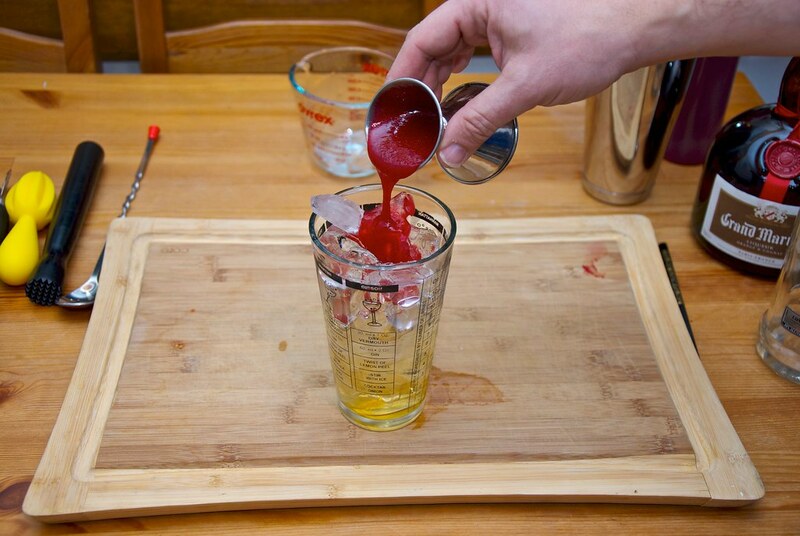 Fill the cocktail glass with ice and let it cool . 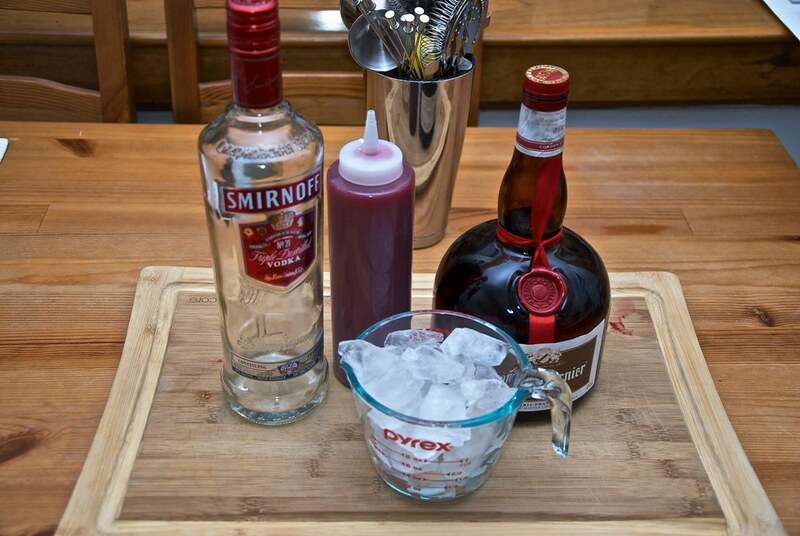 Add the vodka, the Grand Marnier and the syrup. 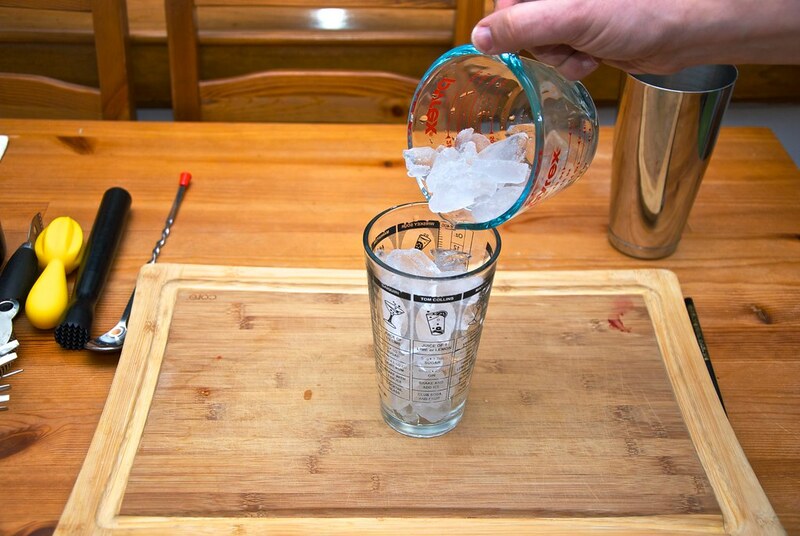 Serve in the chilled cocktail glass.